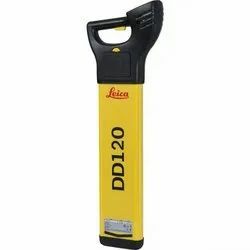 Leading Authorized Wholesale Dealer of leica dd220 smart cable & pipe locator, leica digicat 500i xf cable locator, leica dd120 - digital cable & pipe locator (metal locator), leica dd130 digital pipe & cable locator, leica dd230 smart digital pipe & cable locator and leica da220 signal transmitter 1 watt from Ahmedabad. Leveraging on our extensive market knowledge, we are providing a high quality range of Leica Digicat 500i XF Cable Locator. 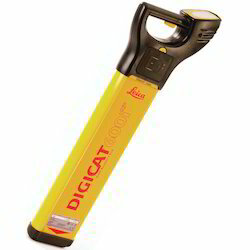 Depth indication: The Digicat 550i XF features utility depth indication, when used in conjunction with the Digitex signal transmitter or Digimouse Standard Sonde in 8kHz or 33kHz modes. With a single press of the button, operators can determine the depth of the buried utility down to 3 meters or the depth of a sonde down to 12 meters. Current level indication: Displays the amount of current flowing through a utility helping to trace and verify the utility to which the Digitex signal transmitter is connected. The new Leica DD230 combines enhanced trace capabilities, producing greater detection accuracy and increased distance tracing with an intuitive, user-friendly package. With added confidence, you can locate and trace deeper and further than ever before. With an innovative antenna design, large colour screen and advanced digital signal processing, the DD230 provides reliable performance through easy operation, detecting the smallest signals in the most congested areas. We are successfully meeting the varied requirements of our clients by providing the best quality range of Leica DA220 Signal Transmitter 1 Watt. Power Output 3 Watt max. We are successfully meeting the varied requirements of our clients by providing the best quality range of Leica DA220 Signal Transmitter 3 Watt. Power Output 1 Watt max. 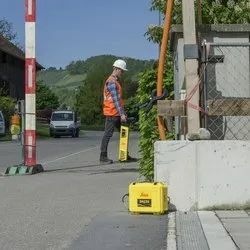 The Leica DA signal transmitters apply a signal onto underground cables or pipes that may not carry a detectable signal.The DA signal transmitters are compact, robust and easy-to-use. Power Output Up to 3 Watt max. 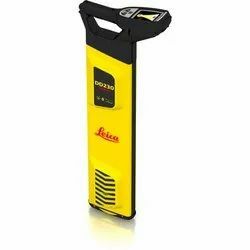 The Leica DA signal transmitters apply a signal onto underground cables or pipes that may not carry a detectable signal. The DA signal transmitters are compact, robust and easy-to-use. 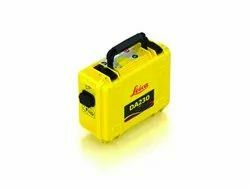 The DA230 signal transmitter is compatible with DD130 Locator and DD230 Smart Locator. 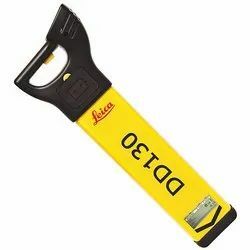 Being a customer oriented enterprise, we are engaged in providing a wide array of Leica Digicat 550i XF Cable Locator. 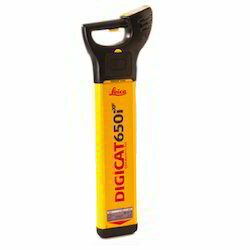 We have marked a remarkable position in the market by offering the best quality array of Leica Digicat 600i XF Cable Locator. Leica Geosystems Digicat locators make locating underground utilities including power cables, street lighting, telecoms, conductive pipe work, sewer camera inspection systems, easier than ever before. This increases your safety on-site and ultimately saves you time and money. The Leica Digicat XF-Series locators locate buried conductive utilities by receiving electromagnetic signals which radiate from them. The intelligent software interprets the signal data and provides the operator with an audible and visual response to the location and direction of buried utilities. Offering the user additional tracing frequencies of 512 Hz and 640 Hz, makes long distance tracing and the positioning of sewer camera inspection systems a simple task. 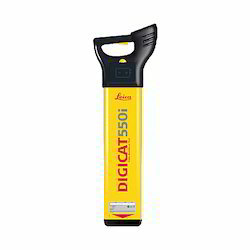 The Leica Digicat xf-Series locators provide operators with additional 512Hz and 640Hz tracing modes, enabling operators to trace buried utilities over greater distances or to easily detect sewer camera inspection systems. 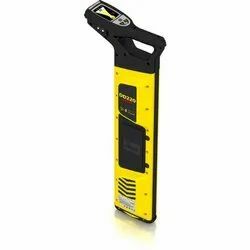 Additional features include Mode Lock the locator starts in the last mode of operation and Current Measurement, used to trace and identify services when using the Leica Digitex signal transmitter and Digimouse Standard Sonde. The Leica Digicat xf-Series locators are designed with an emphasis on long distance tracing and the detection of sewer - camera inspection systems. Two additional tracing frequencies, 512Hz and 640Hz, have been added to the xf-Series locators and signal transmitters, delivering a greater tracing range for ground surveyors and utility contractors. 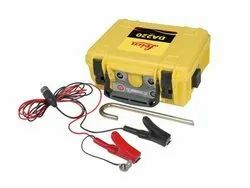 Additional features such as Mode Lock, where the locator starts in the last mode of use and Current Measurement, used to identify utilities and potential faults, will provide operators with an effective solution for their surveying task. GIS mapping via Bluetooth connectivity allows operators to seamlessly capture information about the utility they are surveying. The geographical position and utility depth can be captured, additional site notes and photographs can also be included, maximizing the survey process. Looking for Cable Locator ?